It’s been seven years since the last time the State Board of Equalization measured its efforts in this area, but judging from the report, a dent has been put in tobacco tax evasion in California. 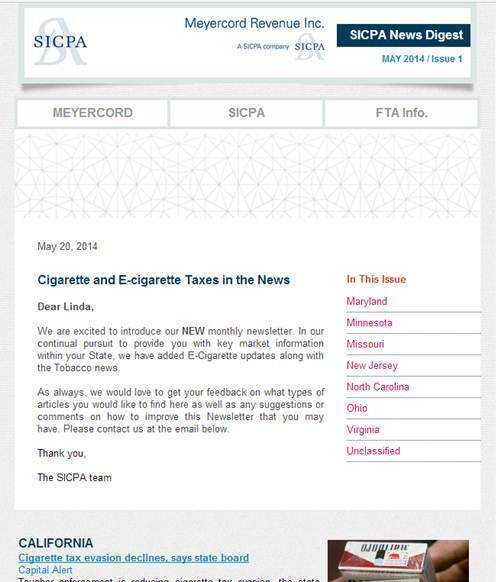 The agency’s task force has reduced tobacco tax evasion by roughly $62 million. That benefits all Californians because the tobacco taxes get to the funds to support community efforts, such as breast cancer research. BOE’s Investigations Division partners with the Bureau of Alcohol, Tobacco, Firearms, and Explosives; U.S. Attorney’s Office; and Department of Justice in “Operation Big Pinch,” a task force aimed at cracking down on contraband tobacco products. Their efforts have reduced tobacco tax evasion from $276 million in 2005-2006 to $214 million in 2012-2013. During calendar years 2012 and 2013, the task force “pinched” nine illegal operators who cost the state $36.6 million in tobacco tax revenue. The BOE said if those criminal enterprises had continued, they would have cost the state an additional $55.5 million through the first month of 2014, depriving the state and local communities of excise taxes that benefit programs for young children, breast cancer research, and a host of other health and community programs. Since 2003 sellers of cigarettes and tobacco products must be licensed. BOE inspectors conduct about 10,000 inspections statewide to take down violators. Compliance efforts have reduced the percentage of violators over the last 10 years from more than 15 percent to just 1 percent. Every year the state spends about $32.1 million administering and enforcing cigarette and tobacco product tax and licensing laws. These programs generate more than $871.5 million in revenue for the above-referenced funds.